Data rates in wireless networks grow approximately by a factor of 10 every 5 years and this together with the increase in the number of users, results in a doubling of the energy requirements of the wireless networks infrastructure every 4 to 5 years. 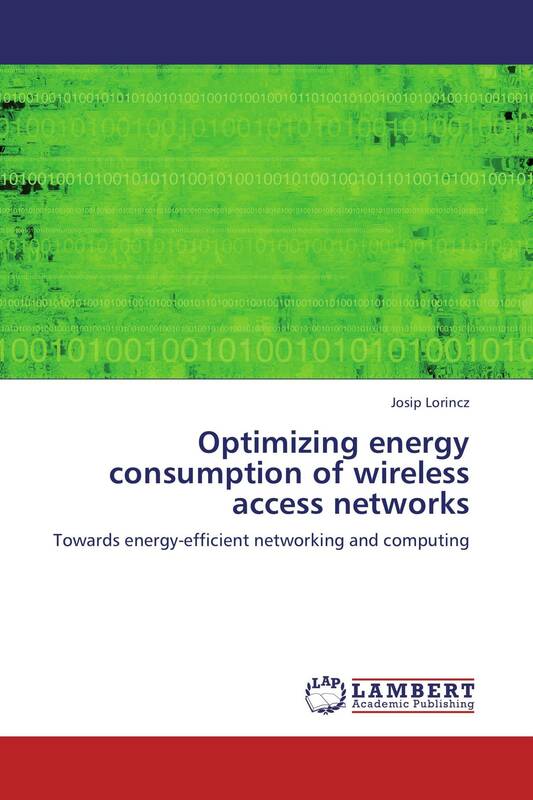 This book considers minimizing the energy consumption of wireless access networks through switching on and off and adjusting the transmitted power of wireless network devices according to realistic traffic patterns. Author propose an optimization approach based on the development of integer linear programming (ILP) models that minimize the energy consumption of the whole network, whilst ensuring sufficient area coverage and capacity for guaranteed quality of service. Obtained results show that remarkable energy savings of up to 50% can be achieved by the proposed network management strategies. To cope with the problem of high computational time characteristics of some ILP models, heuristic algorithms based on greedy methods and local search have been developed. Each of the heuristic algorithms ensures the minimization of network energy consumption within a reasonable amount of time, making them applicable for practical implementation.